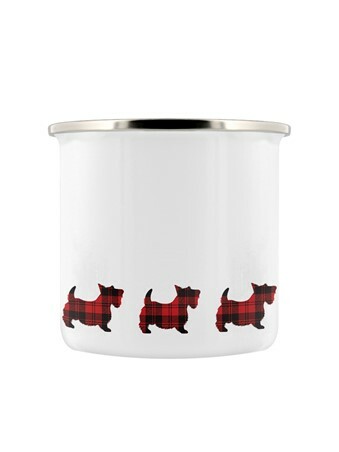 Parading his tartan proudly as he trots around the base of this enamel mug, this little Scottie dog is bound to add a little highland flare to your kitchen cupboards. 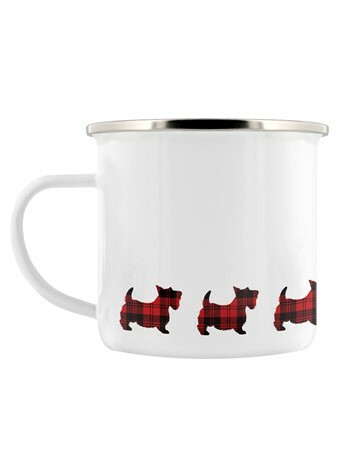 The perfect companion for your hot cuppa and cheeky piece of shortbread, this simple design makes a great gift for any Scottie owner, dog lover or Scottish patriot! 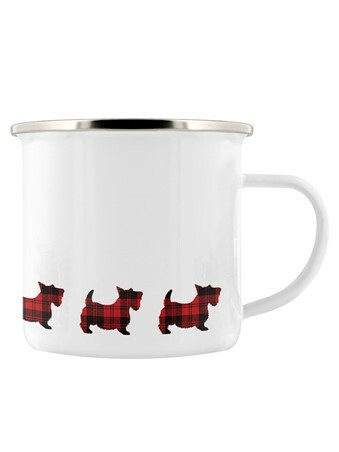 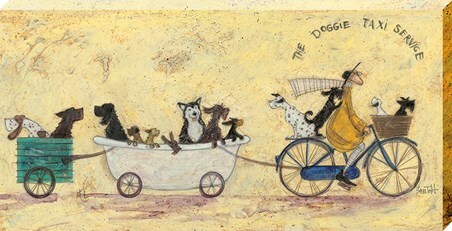 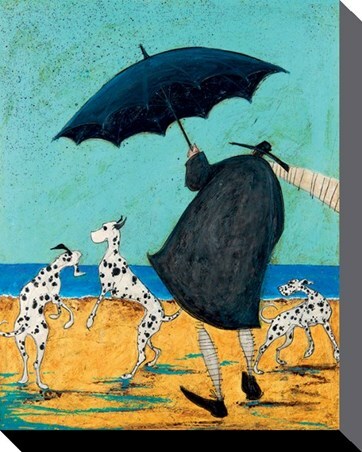 High quality, framed Scottie Dog, Poochy Pattern enamel mug with a bespoke frame by our custom framing service.